"This fitted perfectly with my workload and gave me the flexibility to study anytime from any place." 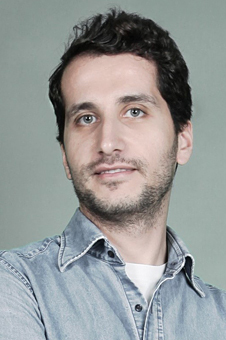 Charbel El Tawil is an Interior Architect working in Beirut, Lebanon. In fall 2016 he enrolled in the MOOC Product Design: The Delft Design Approach. As an Interior Architect working since 2008, I tend to create custom-made items for my projects due to site constrains or my client’s needs. I have always wanted to study product design to improve and enrich my project design process. Such courses are not available in my country. I had to travel abroad, but due to work commitments, I had to postpone my enrollment. Then I heard about a MOOC product design course by the TU Delft, a very well regarded university, that is available online and requires an estimate of six to eight hours’ study per week. This fitted perfectly with my workload and gave me the flexibility to study anytime from any place. The online experience was very well organized and provided flexibility in different aspects. The course taught me different methods that help me in everyday design tasks and in decision-making. It also helped me to understand the end-users’ needs better and meet them through design development, and provide the best human experience with the new product. The best part of the course was the weekly sofa session in which the professor displays our work and discusses them in an online video. I would like to thank the Delft University of Technology and the DelftX team, as well as to edX for making this knowledge available to everyone. This week I entered a product design competition with my confidence high! Looking forward to more online courses from TU Delft!